Wissington, sometimes pronounced and even spelt Wiston, is in a gentle fold of Essex, above the Stour. It looks to Colchester rather than to Ipswich, and since the closure of the Jane Walker Hospital the village has returned to being a sleepy hamlet, not particularly on the way to anywhere. 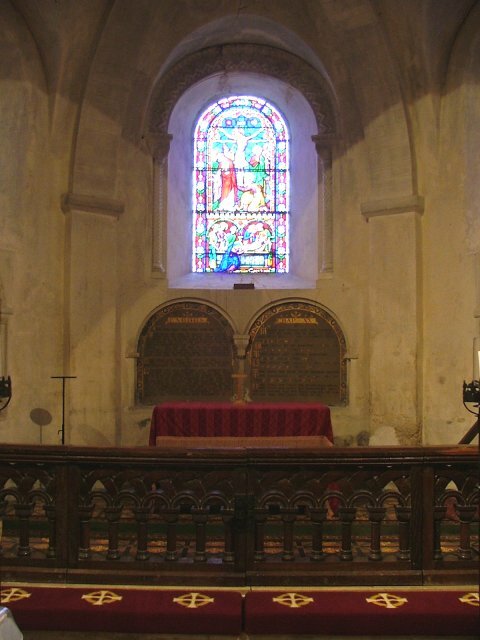 Norman churches are not common in Suffolk; there was wealth to rebuild most of them on the eve of the Reformation. 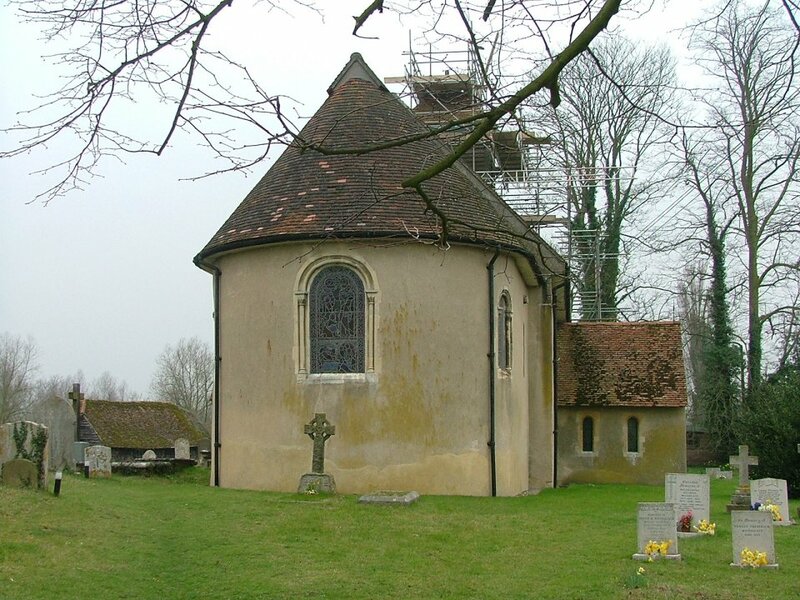 The best Norman churches are out on the margins of the county, as though some central authority had forgotten them. 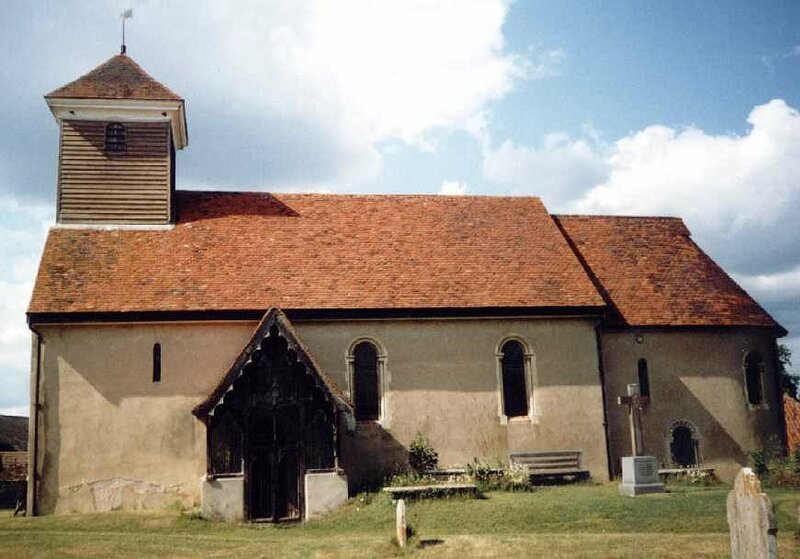 Apart from Nayland, the nearest other churches to Wissington are all in Essex. Having said that St Mary is Norman, a qualification must be made, since the Victorians clearly thought that it wasn't quite Norman enough. 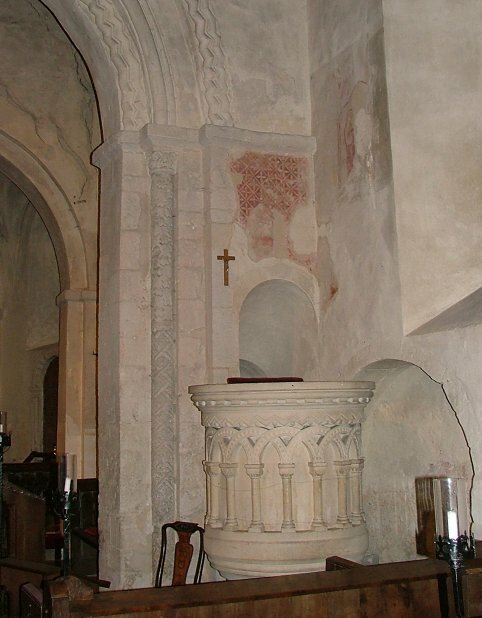 They built the eastern apse, and filled the church with 'Norman' furnishings. 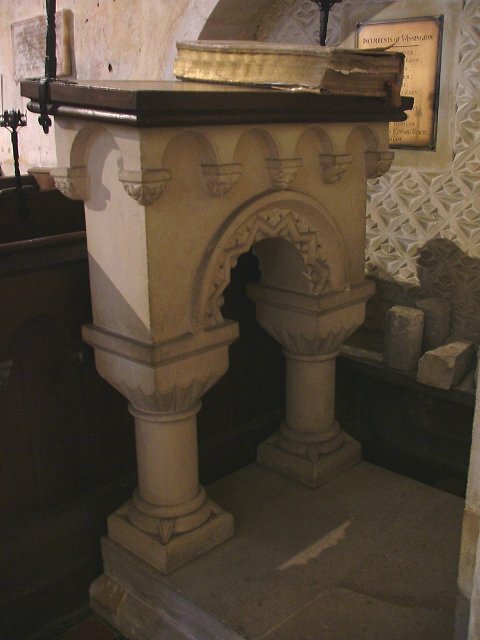 There is a tasteless stone Norman pulpit, an absurd stone Norman reading desk, and even, I am afraid, Norman pews. You approach the church by a narrow by-road from the Bures to Nayland road, which peters out into a private lane across the Wissington Hall estate. You must leave your car on the hard standing area before entering the estate. The track is a public footpath, and takes you about 200m past a field that was full of the fluffiest, most comical sheep on my last visit. The church stands above the farmyard just to the west of the hall. This is not a church you will come across by accident. The setting is superb - what it must be to wake up and see it every morning. You enter the churchyard from the eastern end, the apse for a moment making the building look round. The ancient exterior promises gloom, and you'll not be disappointed. 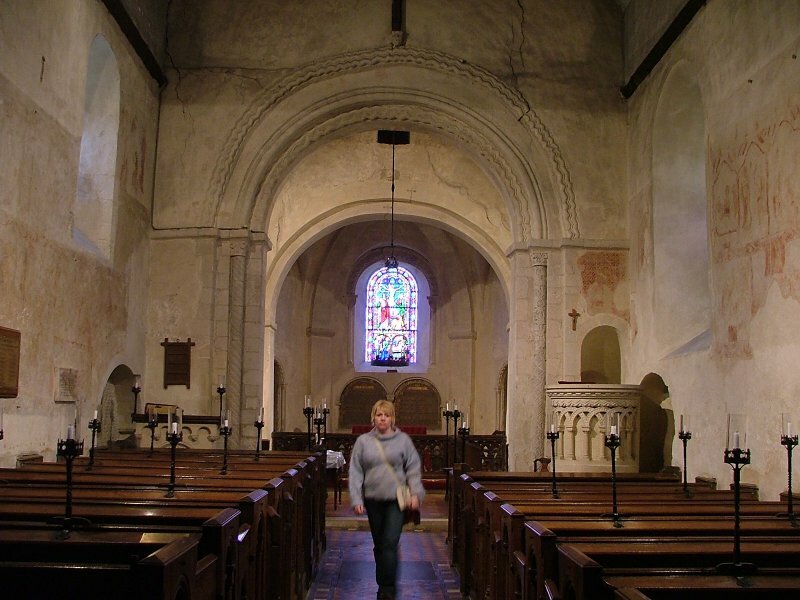 You step into a darkness that seems ancient, and if you can ignore the pews and ridiculous pulpit, you can conjure up in your mind the candle flickering and incense-clouded early middle ages. 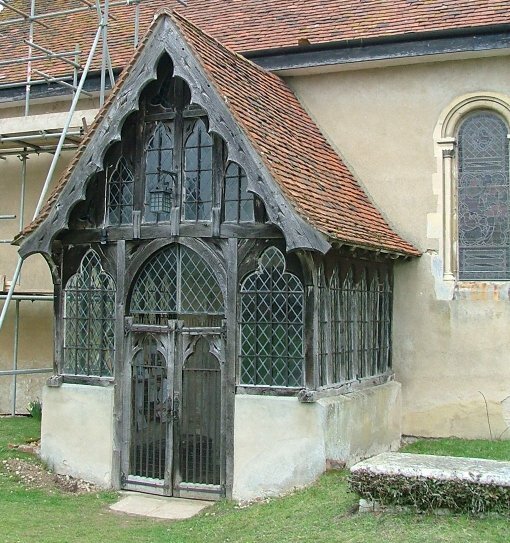 A building like this has a long memory, and, unusually for Suffolk, probably had as long a life before the Reformation as it has had since. There is a smell of earth, a coolness that is unchanging, whatever the weather outside. And then, as your eyes become accustomed to the gloom, you can look up to see the wonderful wall-paintings. The paintings date from about 1280, and the complete range is still discernible. In common with many other survivals from this period, there are two levels. The top level of paintings (the best preserved) shows the story of Christ from Annunciation to Ascension. 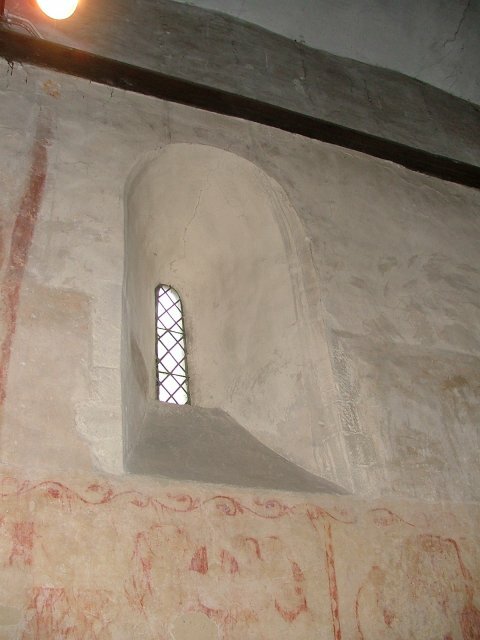 The south wall is best of all. The sequence is shown below; hover to read the captions, click to see enlarged images. 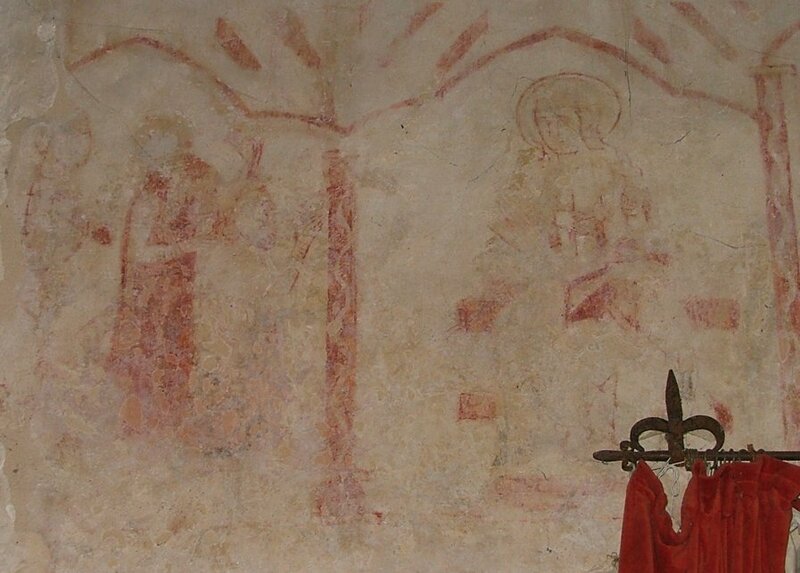 They starts at the far eastern end with the Annunciation; the angel holds a lily, and Mary's face is just visible on the right.This painting is wrongly identified as St Michael in some sources. The Visitation is lost, and we catch up on the story with one of two paintings here that are world famous. 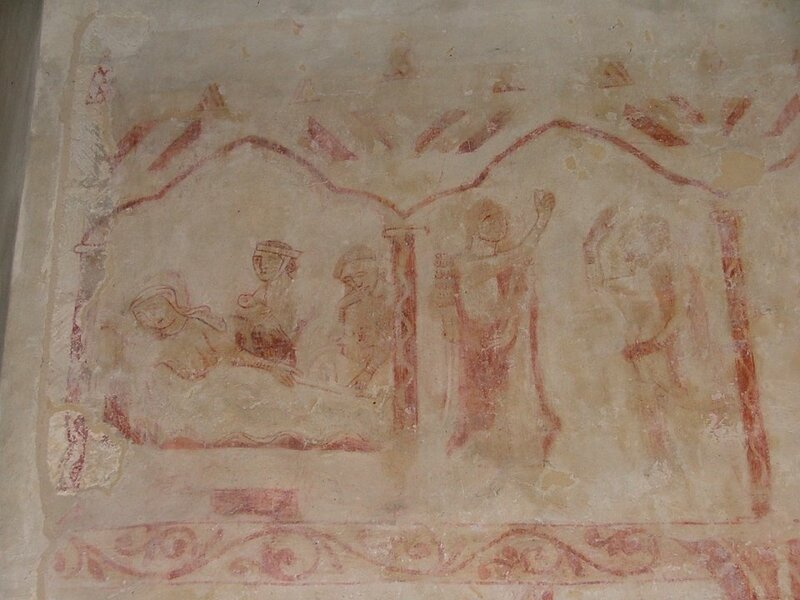 It apparently shows the Nativity (and must, to fit in with the sequence) but the imagery of it is more usually associated with the confinement of St Anne and the birth of the Blessed Virgin. 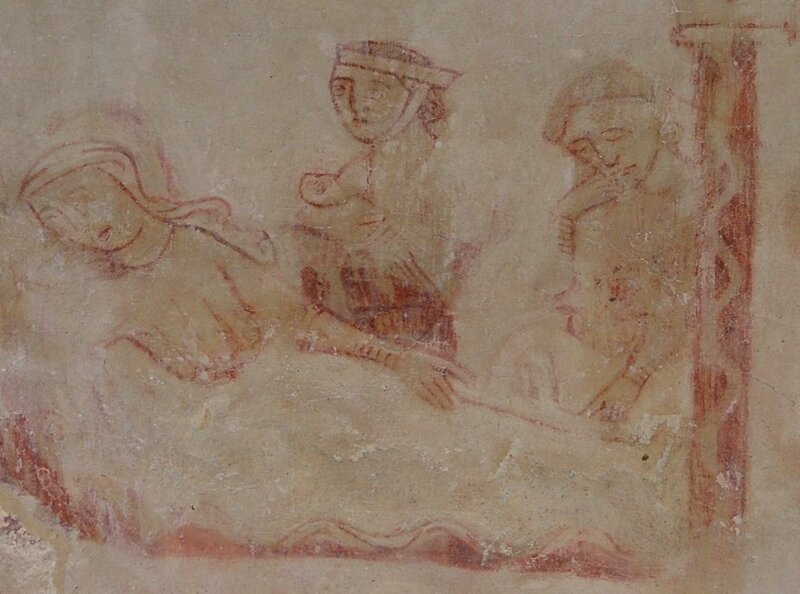 It shows Mary in some pain, and her watching husband in distress, as a midwife nurses her. The problem is that, because of her immaculate conception, Mary was believed in medieval times to have given birth without pain. Although this doctrine was only formally received into the Church in the 19th century, it was widely held in medieval England. The next part of the story fills two panels; in the first, an angel appears to the shepherds, one of whom is in the panel with him. His fellows gather in the next frame, while young sheep gambol without concern at their feet. In the next frame, they appear to be hurrying down to Bethlehem. In fact, the story switches at this point from St Luke's Gospel to St Matthew's, and these are the Magi travelling to greet the Christchild. The journey of the Magi is followed by a two frame scene in which they offer their gifts to the infant Christ. He sits on his mother's lap, much as he does in the same scene at Thornham Parva across the county. There then follows the other world famous image; the angel appears to the Magi to tell them not to go back to Jerusalem but to return by a different route. As in the capital at Autun Cathedral, they are shown all asleep in the same bed. The final two scenes in this row show the flight into Egypt and, just before the gallery intervenes and they are lost, the massacre of the innocents, with a fearsome soldier wielding a sword. The painting is in ochre, with vine designs around the painted archways and alcoves that offset the subjects. 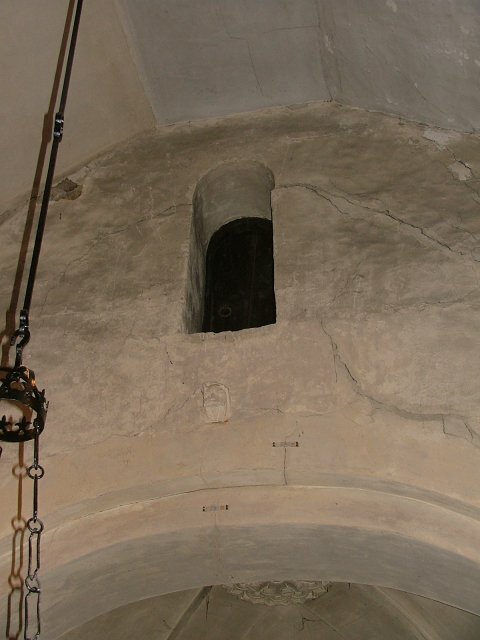 The lower range is less well preserved, and is generally held to be scenes from the life of St Nicholas. I have to say that I do not find the evidence for this compelling. 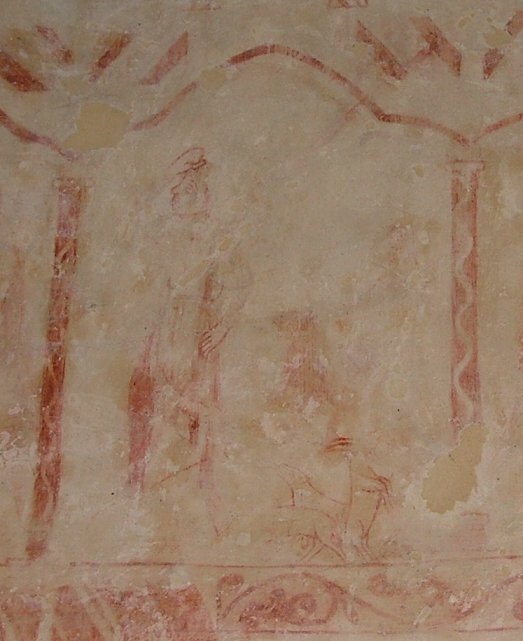 Certainly, the most well-preserved painting shows a man in a boat, and he appears to be holding a bishop's crozier as he blesses the sailors, as in the St Nicholas legend. However, if it wasn't a crozier, then this could just as easily be the story of Christ calming the waters of Lake Gallilee, in which case we must be open to the possibility that this is another range of scenes from the life of Christ. However, those to the east of this don't fit any obvious stories, and they are now so faint that it is easy to read almost anything into them. 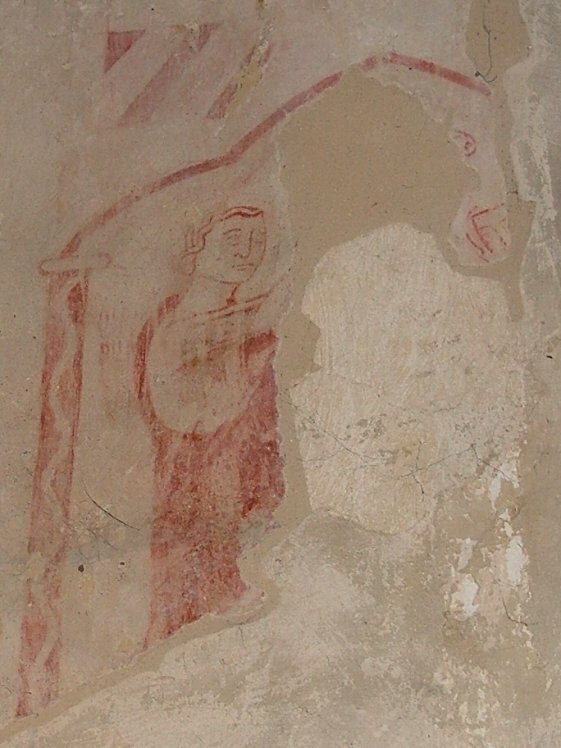 One figure appears to be female and holding a wheel, and so could be St Catherine. To her right, one figure pushes down the head of another - the expression on the face of the victim suggests another martyrdom. 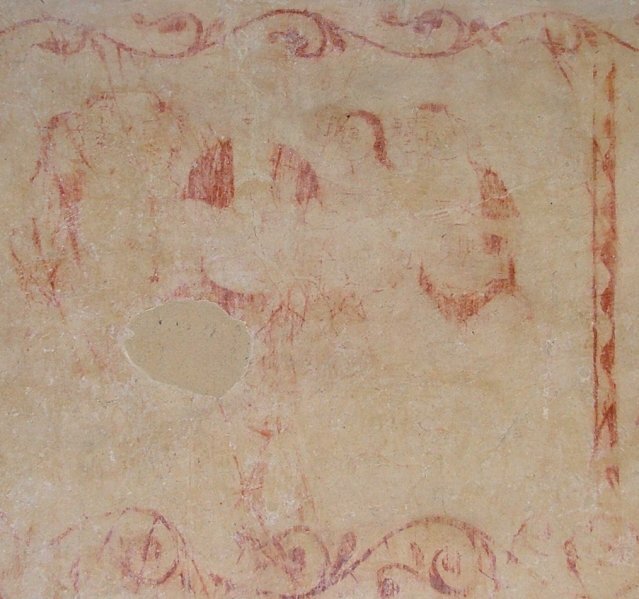 There are fewer images survivng on the north wall, and they are generally in poorer condition, but several parts of the crucifixion story are clear. In one, Christ is nailed to the cross; He lies on the ground, and his executioners kneel beside him. I have seen this described as 'Christ washing the feet of his disciples, which is not impossible, but seems odd at this place in the sequence. In the next, a figure holds a stick with a vinegar sponge up to the thirsting Christ, while a woman weeps at his nailed feet. The next image I take to be Christ being taken down from the cross, because the iconography is familiar; he lies with his head to the left resting in his mother's lap. However, an unusual feature is the large number of people gathered to watch; there are usually only three or four. The only other really clear image in the sequence is the risen Christ standing with his hands help open, surrounded by his friends I have seen this described as 'the last supper'. There are two other major paintings on the north wall, and they are both really quite extraordinary. 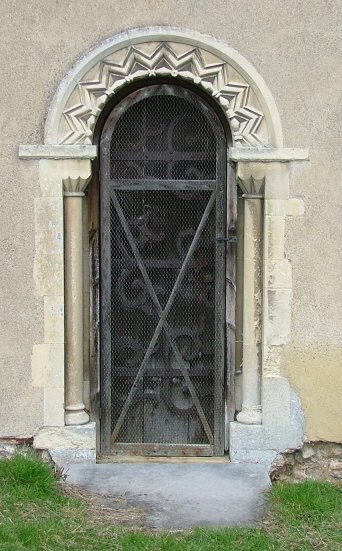 One is above the former north door, and shows a large and ferocious dragon. He is quite out of scale with the other images, and in quite a different style. 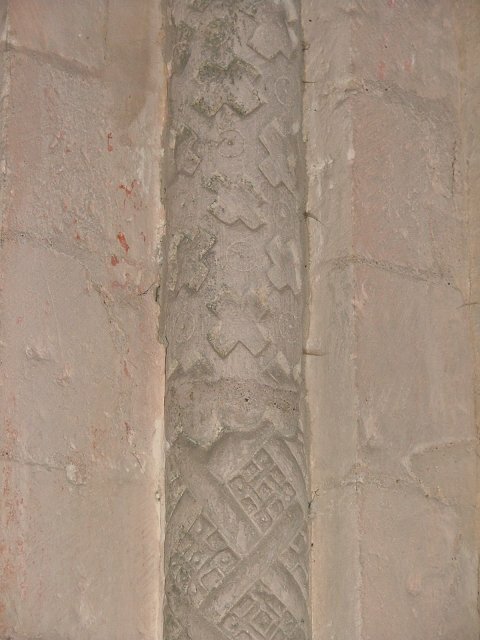 Some sources suggest that it is part of a scene of St Margaret, but I could see no evidence for this. 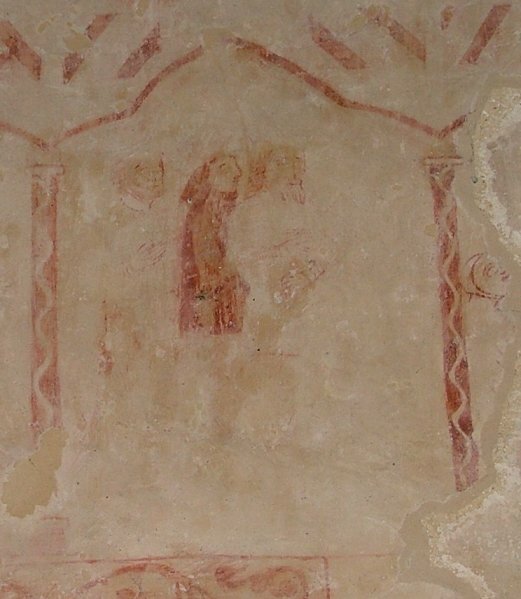 At the other end of the north wall, however, is the earliest known English image of St Francis. 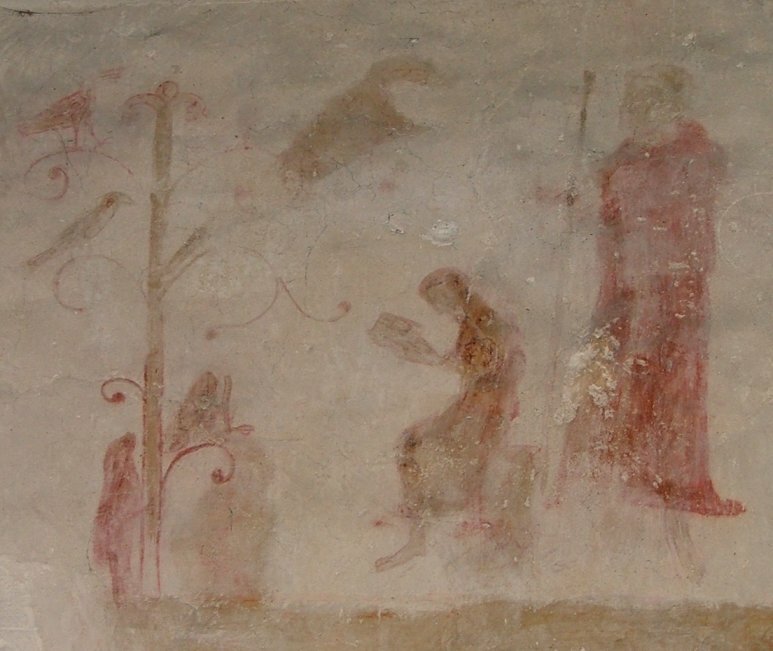 He is shown preaching to the birds in the tree. 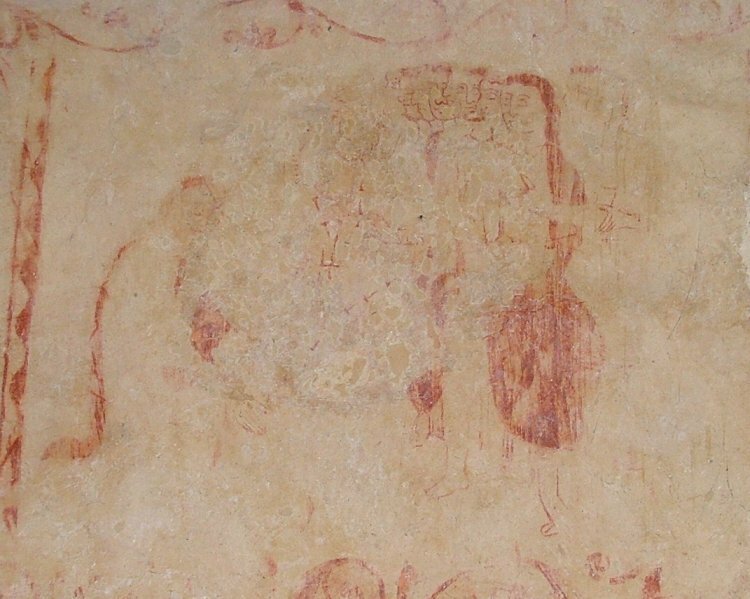 If 1280, the estimated date for this work, is broadly correct, then this could have been painted by people who were alive in the lifetime of their subject. 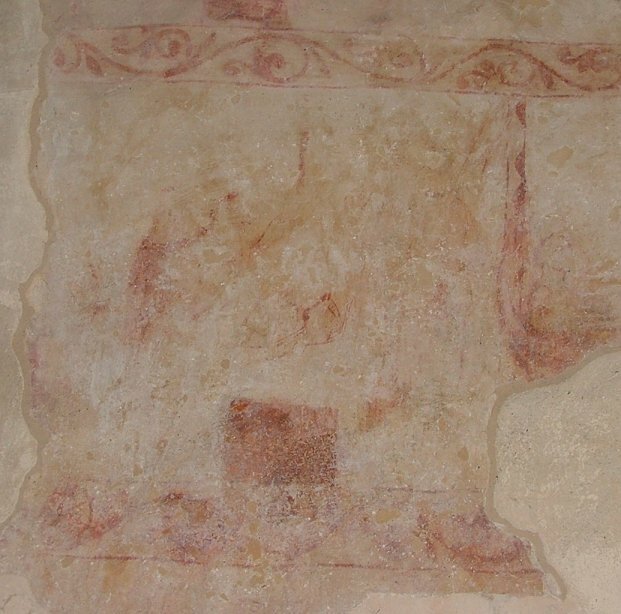 There are also the remains of a doom on the west wall above the gallery, hidden when I was last here by building work. The rest of this building is as atmospheric, and the Victorian additions are obvious, so don't intrude too much. 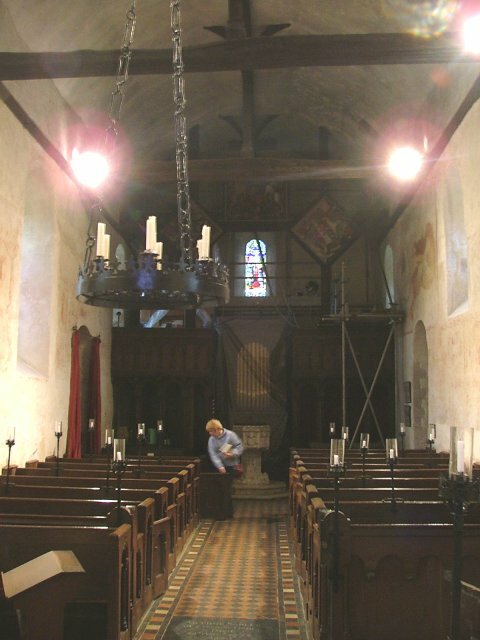 You step beyond the chancel arch into a square space that was obviously once the base of the tower, as at Ousden or Oulton. The sanctuary beyond is all Victorian. A brass inscription for a Laudian Rector has been reset in the tiles. 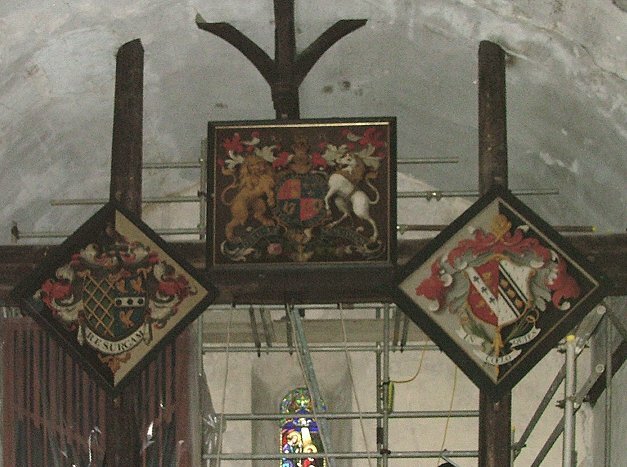 Turning back west, you can make out the two parts of the gallery through the gloom, a royal arms of George III and two hatchments flanking it. Mortlock says that it has Fear God and Honour the King inscribed on the back. This end was undergoing repairs on my last visit. 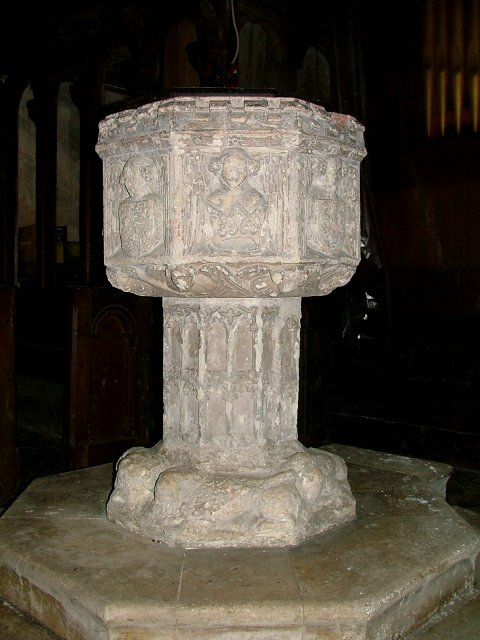 Beneath the gallery, the font, later than the Norman period, is unique in Suffolk. There is one detail in particular on it that I like very much. The lions at its base are not sitting up, alert, as is common in East Anglia. 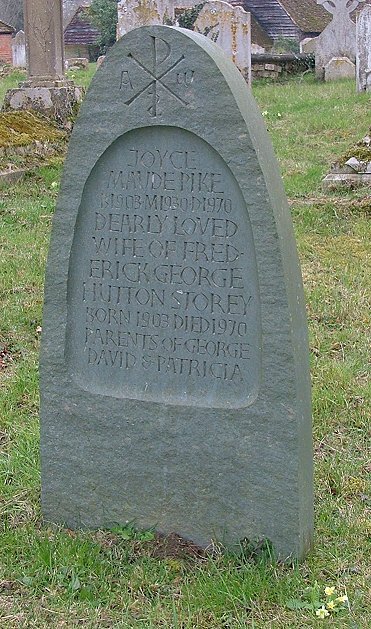 They are lying down, as though the rural idyll of this place, and its ageless peace, have at last overcome them, and they have surrendered themselves to sleep. St Mary, Wissington, is just south of the Sudbury to Colchester Road, where the road from Nayland to Bures cuts through. I have never found it locked.